To view our routes in Google Maps you must first open them in Google Earth. 1. Save zipped folder emailed after purchase: Depending on your email software right click on attachedment (Route Folder) and click "Save As", navigate to an appropiate folder on your PC and save. 2. Un-zipping folder: Right Click on the folder saved on your computer and choose the option "Extract, Exract all or upzip (this will depend on your operating system). Click "Extract" Your routes have now been saved on your computer. 3. Opening Routes in Google Earth: Open Google Earth software. Click "File" then click "Open", Browse to the location of your un-zipped saved route files. Click on the route you wish to open, click "Open"
1. After opening your routes with Google Earth follow the instructions below to view and print directions in Google Maps. 4. Your route is now open in Google Maps. 5. Click the Print button. 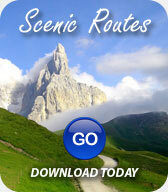 A new tab will open with printable directions for you route. 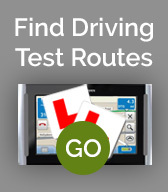 The driving test routes provided will gain you an insight into the various types of roads likely to be taken on your driving test. 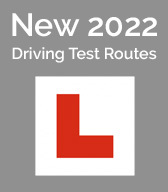 Driving test routes do change and get updated, although generally they remain similar due to the particular difficult areas that the examiner like to keep on the routes. Whilst looking through the driving test routes for your test centre, it's not necessary to understand each and every road possible. Locating difficult areas will prove more beneficial.